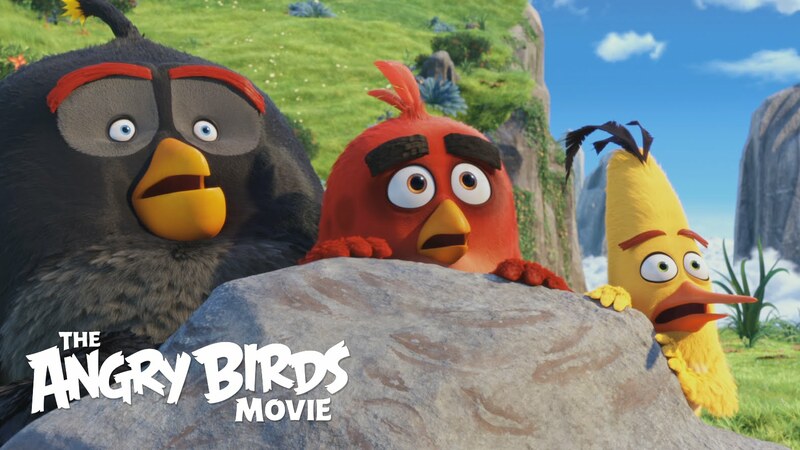 On Bird Island, happiness is key, but Red is not happy. That’s particularly unfortunate, since he works as a clown. At one party, he assaults an unhappy customer, and accidentally causes that customer’s egg to hatch. After that outburst, Red is sentenced to anger management class. There, Red makes friends with others in the class: hyperactive Chuck, explosive Bomb, and the silent but massive Terence. One day, Bird Island is visited by Leonard, who claims to be an explorer from Piggy Island. The Birds welcome Leonard, and many subsequently arriving Pigs, with songs and festivities. Red is suspicious of the Pigs, but the Birds do not take him seriously. Eventually, Red and his friends come to learn that the Pigs are intending to abscond with all of the Birds’ eggs. After the Pigs successfully escape with the eggs, the Birds get sad, and then angry. One suggests “getting busy” to start replacing the stolen eggs, but Red encourages the Birds to rescue the stolen eggs. Led by Red, they attack the fortified city of the Pigs, in an attempt to reclaim their stolen eggs. One character mentions that Red does not have parents. Later, Red sees one egg left behind after many have been rescued, and risks his safety to save it. This is a story about parents reclaiming their children that have been unfairly taken away, and although the Pigs are certainly not adoptive parents, the story might resonate with parents who have had children taken into foster care, or with parents or children who are sad about the loss of relationships that they attribute to adoption. The eggs are the Birds’ soon-to-be-born children, and they are loved as eggs. The pigs are only intending to have a breakfast banquet, but to the birds, the pigs are trying to steal and eat their babies. 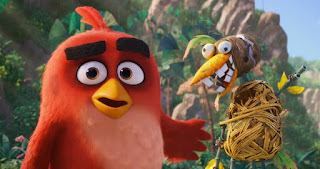 Red encourages the Birds to get their eggs back, saying “They stole your kids; who does that? Have you ever stolen anyone’s kids”? There is a fertility clinic on Bird Island. Some couples long for children. Angry Birds captures the deep love that parents have for their children, and it can reassure children that their parents will do anything necessary to keep them safe. 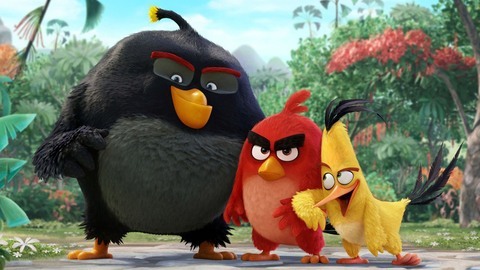 Much like Inside Out showed the valuable role that sadness can play, Angry Birds shows how anger can be a helpful emotion, if channeled and directed properly. 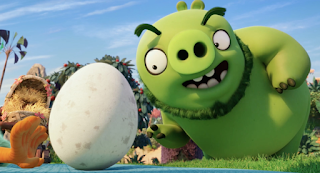 Most kids who have played Angry Birds on their parents’ phones will be familiar with the story, but some very young kids might be scared by the thought of the Pigs trying to kidnap and eat the Birds’ still-in-the-egg babies. The Angry Birds Movie seems most likely to appeal to kids ages 3-10, plus anyone who’s been particularly addicted to the games. 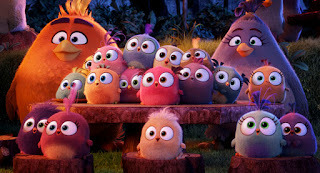 Although there are some negative connections that some viewers could draw to adoption, the film seems likely to be enjoyed by most kids. The film can also be illustrative of a couple worthwhile insights that parents might want to share with their kids; especially the fact that they’ll do anything to keep their kids safe. When is it helpful to be angry? How can the anger help? How do you know that your parents will keep you safe? Which Bird was your favorite? How could the Birds have guessed that the Pigs weren’t safe? (For kids who have been detained) When haven’t you felt safe? When do you feel safe?